The Mazda CX-5 is a number one model on a lot of markets worldwide including Australia and fans out there will be glad to have it starting next year, after the car`s debut in Japan, in February. Until then, everybody can enjoy the all-new model at the 2016 Los Angeles Auto Show. 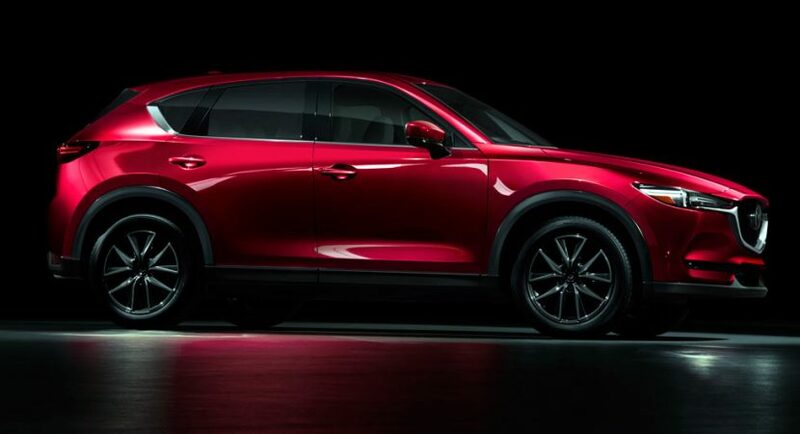 As opposed to the last year`s models, the new Mazda CX-5 comes with some new styling cues, revealing its muscular and aggressive attitude and personality. We are looking here at the company`s new Kodo Soul of Motion design with standout front and more prominent front grille, also coming with some design cues taken from the brand-new CX-9. The model comes as well with a lower center of gravity, which increases the car`s aerodynamics and stability. This means that the new CX-5 is coming with a much wider front and rear with around 10 mm, while the A-pillar is now standing back with 35 mm, making the car more aggressive. The new features also include the interior, the 2017 Mazda CX-5 now welcoming its customers with a “pleasing sense of exhilarating tension,” as the carmaker declared. We are looking at new seats, natural wood, metal trimmings, updated climate vents and increased cargo space of a 505L. In the engine department, the 2017 Mazda CX-5 features the company`s G-Vectoring control technology, which optimizes the car`s steering, performance and reduces body lean, thanks to the engine`s controlled torque in different situations. The lineup comprises a 2.0-liter and 2.5-liter gasoline burners, adding a 2.2-liter turbo diesel mill as well, all hooked to six-speed manual or automatic transmissions. Full prices will be revealed at a later date.